Home / Dog Whif / Why Dog Whiff? When I watch our dog, Max, noses his way in the garden around my homestead, I sometimes try to imagine what he smells. He is like a Shopaholic at a rummage sale, smelling anything and everything that comes its way. And almost every dog I met knows the best way to uncover and get its favorite thing is through its nose. From the moment they are born, dogs have a wonderful sense of smell. Even though the new born puppies can't see, they can still detect their mother's smell and heat and locate her easily! Their sense of smell improves as it grows and develops to such a point that some say that it's up to a million times betters than humans. 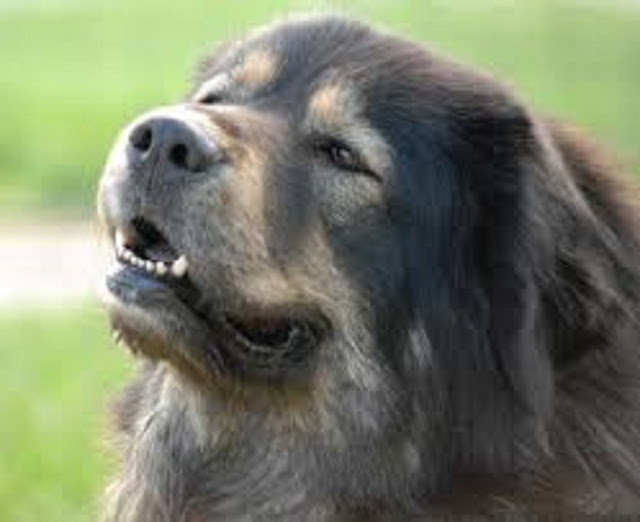 A pooch’s sense of smell is so acute because dogs have about 25 times more olfactory receptors than humans. Its nose can even distinguish between the cheese, meat and ketchup on a cheeseburger. That is why they are considered man's best friend, some of them are trained, working side by side with humans to recover survivors under rubble, drugs tracking, and even landmines detection work! There are many sniffer dogs that devote their lives to serious work like tracking down escaped criminals, or missing (or drowned) persons for the police force. Dogs can effectively identify bombs, firearms and drugs by sniffing for tiny odor traces at international borders and in airports. They are loyal crime fighting partners, performing tough tasks as only our best friends can! Dogs can detect and distinguish smell in 2 ways, by an air scent left behind by something that has just passed by or a ground scent. Puppies and grown dogs use their sense of smell to communicate between themselves. With their nose, they can read the messages that other dog have left behind. Their way of shaking hands or presenting themselves is by smelling each other. The length of a dog's snout can have an effect on his ability to smell. Longer-nosed dogs have more scent-reception cells. Even short-nosed dogs can smell hundreds of times better than a human. Remember that, as a dog ages, he loses some or all of his ability to smell. It can also be a sign of immune problems if a dog's nose is normally black, but starts losing pigment; bring him to the vet. Ensure your pup continues to drink and eat when he's suffering from any kind of nasal problem; keep in mind that most of dog's ability to "taste" food resides in the nose, and if she can't smell the food, she may not want to eat it. Furthermore, even a mild fever will quickly dehydrate a sick animal, and if you can't get her to drink at home, consider a trip to the vet for fluids. Adult dogs may need to be tempted to eat, and some seem to find spicy foods more palatable. A wholesome diet is recommended to improve its overall nose sense and overall health. The best "nutrition" we can give to a dog's nose is a daily dose of natural odors, generated from nature - the perfect way to build your dog's smell sense is a strong and useful tool for the pooches. Mostly, the dog whiffing and sniffing ways are basically a part of its nature.